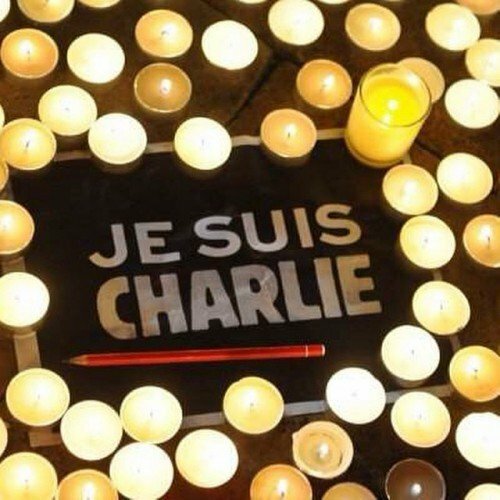 Home World Europe News Je suis Charlie: Who is behind viral slogan? Je suis Charlie slogan appeared minutes after terror attack on Paris offices of Charlie Hebdo satirical magazine on January 7. The slogan, I am Charlie in English, became viral on Twitter on the same day. But who is behind those three words? According to French media, the man behind Je suis Charlie slogan is journalist and artistic director Joachim Roncin. Joachim Roncin, who was identified as the author of Je suis Charlie by French publication Le Progres, works for Stylist magazine. He tweeted Je suis Charlie message on January 7, at 11.52AM, less than a hour after the terror attack on Charlie Hebdo offices. The hashtag #JeSuisCharlie was re-tweeted 619,000 times on the same day. Je suis Charlie has become a message of solidarity with Charlie Hebdo attack victims and wants to shoe the refusal of being silenced. On Charlie Hebdo’s website, all cartoons has been replaced by Je suis Charlie banner.